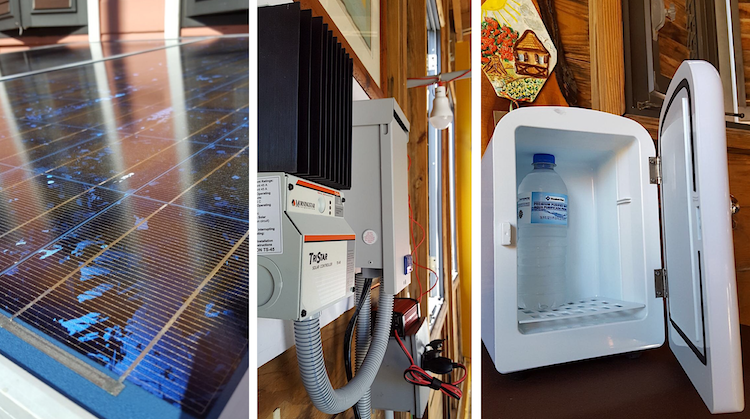 Equipment provided by Sunnova, with 62% of the residential renewable energy market in Puerto Rico, stopped generating power, while Casa Pueblo organization was one of the few that succeeded. On December 26, Alexis Massol, one of the Casa Pueblo founders, drove to the Saltillo sector of Adjuntas, crossing a bridge over a ravine, traveling through a muddy road and arriving at a cement house. There, the transmission antenna of Casa Pueblo’s radio station was being set up. Unlike the organization’s headquarters located in Adjuntas’ urban area, this house had to depend on a power plant after the hurricane. 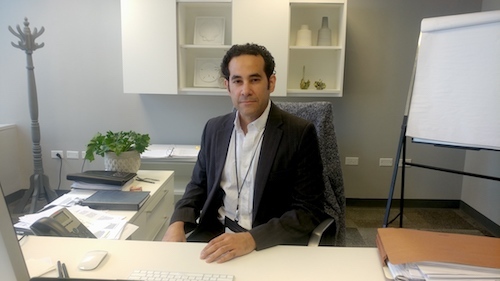 “About 10% of all those connected to the net metering system have batteries,” Francisco Rullán, executive director of the State Office of Public Energy Policy (OEPPE) told the CPI. 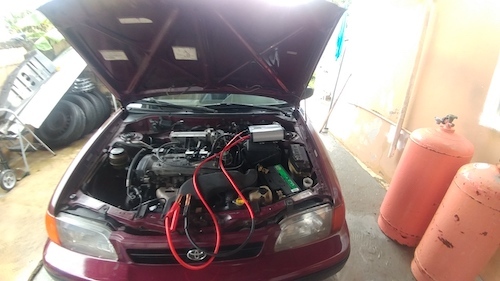 “Now, with the onslaught of the hurricane, I would tell you that most want to install them.” María brought about a great change in the island’s renewable industry: the push to install batteries. Texas-based Sunnova has 62% of all the net metering system business at the residential level in Puerto Rico, according to research by the CPI. The net metering system has 10,362 customers, PREPA told the CPI. In addition to Sunnova’s 6,000 customers who are already connected to the network, it has almost 4,000 customers waiting for PREPA to connect them into the net metering system, which would give the company 97% of Puerto Rico’s residential business for renewables. “People were left without power because of PREPA’s regulations. Solar panels cannot work if PREPA’s grid does not work. If the network collapses, all renewable systems collapse 100%,” said Karla Zambrana, general manager of Sunnova in Puerto Rico, during an interview with the CPI. On October 10, during meetings that governor Ricardo Rosselló held with different sectors, he asked Sunnova representatives to find solutions. “The goal was to eliminate the bureaucracy of the interconnection process with PREPA, so that customers, once the grid is restored, can begin to enjoy the service quickly without the bureaucratic process,” Zambrana told the CPI. As of today, the island generates only 2% of its energy from renewable sources, mainly from solar and wind utilities contracted under the administration of former governor Luis Fortuño. The process is currently being questioned in the courts. Law 82 of 2010 ordered Puerto Rico to generating 12% of all electricity with resources such as solar and wind by 2019. As of December 1, the net metering system had 10,362 subscribers, the same as before the hurricane. PREPA’s slow response caused Sunnova to respond. The company’s management sent a letter (which it did not make public) to PREPA executive director Justo González and governing board, as well as to Rosselló, alleging the agency’s inaction and the reluctance to work with Sunnova. As for the town of Adjuntas and Casa Pueblo? 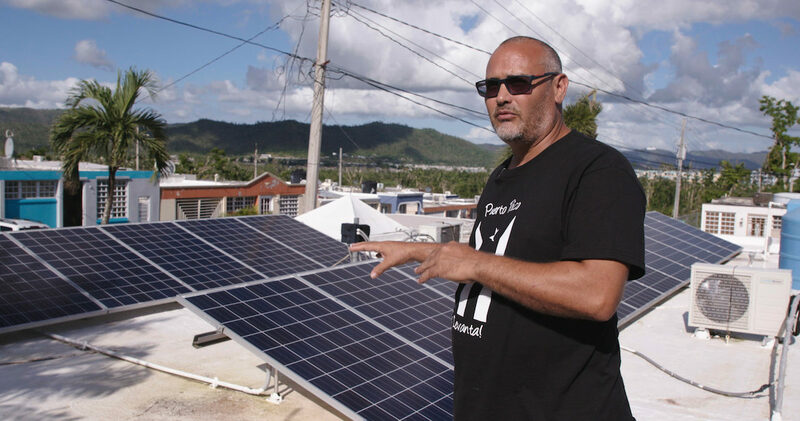 Despite costly solar equipment, many know that their strategy can lead the island to energy independence. For example, when the entire town was in darkness, a group of neighbors went to a community cinema powered by solar energy, as they did on December 23 to watch a documentary. And that Casa Pueblo can send a cable to power the radio station’s cabins, which are behind the house, as they did after Hurricane María. The organization has already distributed almost 10,000 solar lamps. At night, in the darkness of the mountains, you can see the lights moving. This story was possible as part of a collaboration with the Futuro Media Group supported by the Ford Foundation.